The Dabney puts an emphasis on sourcing ingredients from the Mid-Atlantic region's farms and purveyors. The wood-burning hearth in the open kitchen turns out dishes like celery root baked in the embers, accompanied by brewster oats, lardo, poached egg, rosemary, watercress and sumac. The Dabney, 122 Blagden Alley NW, Washington, D.C. 20001, 202-450-1015. ANXO Cidery & Pintxos Bar will open in Truxton Circle. Expect Basque fare like octopus with espelette and new potatoes. ANXO Cidery & Pintxos Bar, 300 Florida Ave. NW, Washington, D.C. 20001, no phone. Chef Michael Schlow, owner-operator of Tico and The Riggsby Fine Food + Drink in The Carlyle, A Kimpton Hotel, will open an Italian restaurant, Alta Strada, in Mt. Vernon Square’s City Vista in March 2016. It will occupy the former space of now-closed Kushi Izakaya & Sushi. Alta Strada will offer antipasti, thin-crust pizzas, authentic house-made pastas and seasonal secondi, with Schlow’s intent to improve upon all the dishes he learned to make while working in Tuscany, Piedmonte, Emilia-Romagna and Campania. 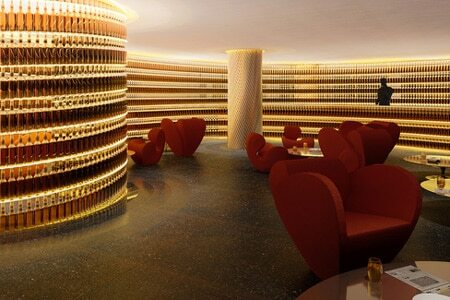 The beverage program will include an extensive list of Italian wines and classic cocktails. The restaurant will open its sidewalk patio in warm weather, and will soon add lunch and Sunday brunch to its operation. Schlow also plans to open a second Alta Strada in Virginia’s Mosaic District. Alta Strada, City Vista, 465 K St. NW, Washington, DC 20001, No phone. Texas Jacks Barbecue opened in Arlington, VA. The architecture reflects a vigorous Texas attitude, as does the barbecue menu itself. Look for smoked goods such as brisket, beef short ribs, pulled pork and various sausages and jerked goat. Texas Jacks Barbecue, 2761 Washington Blvd., Arlington, VA 22201, 703-875-0477. Pennsylvania 6, located across from Franklin Park, offers a regional American menu showcasing such dishes as a foie gras mousse with apple cider gelée; wild Burgundy snails; and lamb tenderloin roulade with Yukon Gold potato purée and arugula pesto. Its bar program includes classic cocktails such as the Grapes of Wrath, made from bourbon, grapefruit and brandied grapes. The restaurant’s high-end setting evokes a modern supper club and bistro, with a dramatic 70-foot bar complete with Carrera marble and oak panels. Surrounding the bar are a number of communal tables and a six-seat raw bar, plus booths and an elevated lounge. Pennsylvania 6, 1350 I St. NW, Washington, DC 20005, 202-796-1600. Four-level bistro and bar Hawthorne has opened in the U St. Corridor for dinner only. Food spans from fresh seafood and an extensive array of mussels to steak frites and garlic-braised chicken. Local ingredients are utilized. Executive chef Dot Steck has created a diverse menu that she says is compatible with the numerous bar offerings. Hawthorne is available for private events and will introduce a “bottomless brunch” and rooftop dining in spring 2016. Dinner Mon.-Sat. Hawthorne, 1336 U St. NW, Washington, DC 20009, 202-853-9194. When The Watergate Hotel re-opens after renovations, it will include The Next Whisky Bar off the lobby as well as Kingbird restaurant and a rooftop bar called The Top of the Gate. The Watergate Hotel, 2650 Virginia Ave. NW, Washington, DC 20037, 202-827-1600. Steven Benincasa has taken over the kitchen at Argia's in Falls Church. Argia's, 124 N. Washington St., Falls Church, VA 22046, 703-534-1033.